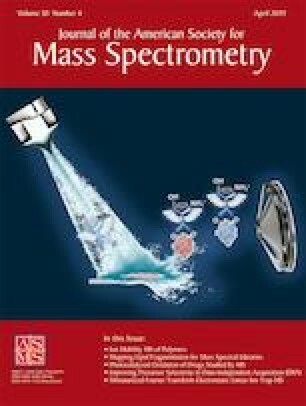 Since its introduction, matrix-assisted laser desorption/ionization (MALDI) has been widely used for the mass analysis of biomolecules. The “soft ionization” of MALDI enables accurate mass determination of intact biomolecules. However, the ionization and desorption processes of MALDI are not adequately soft as many labile biomolecules, such as glycoconjugates containing sialic acid or the sulfate functional group, easily dissociate into fragments and sometimes, no intact molecules are observed. In this study, we compared the conventional matrix of MALDI, namely 2,5-dihydroxybenzoic acid, to various soft matrices of MALDI—specifically, 5-methoxysalicylic acid, diamond nanoparticle trilayers, HgTe nanostructures, ionic liquid, and droplets of frozen solutions—by using three labile glycoconjugates as analytes: gangliosides, heparin, and pullulan. We demonstrated that droplets of frozen solution are the softest matrices for gangliosides and heparin. In particular, droplets of frozen solution do not generate fragments for gangliosides and can be used to determine the relative abundance of various gangliosides, whereas ionic liquid 2,5-dihydroxybenzoic acid butylamine is the most suitable matrix for pullulan mass analysis. The online version of this article ( https://doi.org/10.1007/s13361-019-02208-4) contains supplementary material, which is available to authorized users. We thank Dr. Chang, Huan-Tsung, and Dr. Chang, Hsiang-Yu for providing HgTe nanostructures. We also thank Dr. Wang, Yi Sheng, and Dr. Wang, Chia-Chen, for their help in preparing the trilayer samples. We acknowledge the support of the Ministry of Science and Technology, Taiwan (NSC 106-2113-M-001-023-MY3).